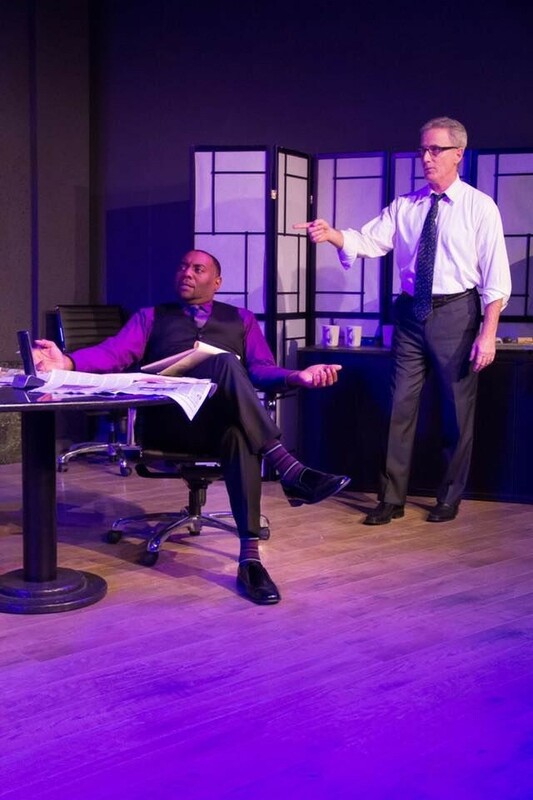 'Race’ runs Friday–Sunday, through March 26 at Left Edge Theater. 50 Mark West Springs Road., Santa Rosa. Friday-Saturday at 8:00pm. 2pm matinees on Sunday. $15-$27. 707.546.3600. It works. Mike Pavone, as Brown’s cagey law partner Jack, is wonderful, a blunt-and-befuddled, ever-moving force of nature, verbally bulldozing his way through everyone in this path - especially Susan (Jazmine Pierce), the law firm’s cautiously watchful new hire. Pierce, intense and focused, does what she can with the role, which frequently requires her to stand silently and observe the men plotting their defense of Charles—though her character does become increasingly pivotal as the plot twists stack up.